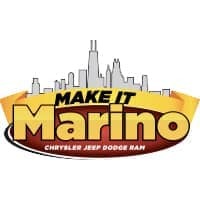 Service, Sales, BDC and Clerical Positions at Marino Chrysler Jeep Dodge Ram are available Now! Any and all Journeymen technicians welcome. All schooling available! All makes and models Journeyman technicians are welcome to Apply. We will get you the necessary training to become Chrysler Dodge Jeep Ram Certified. We are looking to expand our hours and service more vehicles. Automotive Warranty Administrator. Duties include, but not limited to, processing warranties, service contracts, internals and reconciling receivable schedules. Must have verifiable Chrysler Dodge Jeep Ram experience with strong ability to communicate. Reynolds and excel experience a plus. Relocation Package Possible. We specialize in doing complete walk around when a customer enters the service center. We use a wireless based tablet to do all documentation, including price estimates and damage to any vehicle that enters. Advisor should have the goal to attain 100% CSI. Looking for a good listener that is motivated to learn the service business. We promote quickly. Get your career started NOW. Requires an authoritative personality that has intimate knowledge of controlling a call center for Sales and Service in an Automotive setting. We handle over 25,000 calls per month and there must be accountability on every single call. Experience is necessary to survive and thrive. Reynolds and Reynolds, and Chrysler experience a plus. Looking for extremely motivated individuals that will answer any service or sales leads promptly and honestly. Knowledge of the Chrysler Jeep Dodge Ram brand a plus. We require solid phone skills and a congenial disposition. We are looking for trained finance managers that are well versed in various close techniques, able to menu sell and keep contracts in transit to a minimum. We expect finance managers to also be a part of the sales experience and be visible on the floor with sales staff and management. Expect $1,500 PVR and 1.5 products per vehicle. One of the most important positions in the dealership. Maintain a 60 used car turn. Build a used car inventory of 150-200 used vehicles. Market used cars on the lot properly. Work with the sales team to show how to sell used vehicles properly. Looking for motivated individuals that will conduct themselves professionally and honestly. Looking to retain the #1 CEI score in the Midwest. We will train how to sell cars. Earning potential over $100k. Looking for a good listener that is motivated to learn the automotive business. We promote quickly. Get your career started NOW. Looking for a detail oriented individual that is good with numbers. Compiles and maintains verified accounts payable records. Reconciles statements and issues payment to vendors. Checks all vouchers and obtains appropriate payment approval. Reynolds and Reynolds Experience is a plus. Routes vehicle transactions and ensures the proper completion of documentation through the accounting office. Reconciles office records with Sales Dept. and Finance Dept. Compiles list for office manager for any missing transactions. Reynolds and Excel Experience is necessary. A good communicator that can handle phone calls and direct the calls to the appropriate department. 25 hours a week available.